The Panthers have signed safety Damian Parms, per Jourdan Rodrigue of the Charlotte Observer (via Twitter). Parms tried out with the team back in May. The Browns signed offensive lineman Kitt O’Brien, Aaron Wilson of the Houston Chronicle tweets. Nate Ulrich of the Akron Beacon Journal tweets that Cleveland waived offensive lineman Chris Barker with an injury designation in a corresponding move. O’Brien, 27, spent the 2013-14 campaigns in the Arena Football League after going undrafted out of Ball State. Subsequently, he latched on with the Colts and spent parts of the past two seasons on Indianapolis’ practice squad. O’Brien has yet to appear in an NFL game. The Dolphins will sign WR Jordan Westerkamp today, according to Armando Salguero of the Miami Herald (Twitter link). In four years at Nebraska, Westerkamp posted 167 catches for 2,474 yards and 18 touchdowns, as Barry Jackson of the Miami Herald tweets. The Jets announced that they’ve signed cornerback David Rivers and waived/injured fellow CB Bryson Keeton. Rivers, a Youngstown State product, went undrafted earlier this year and has already been cut by Green Bay. No more Baby Gronk in Buffalo. 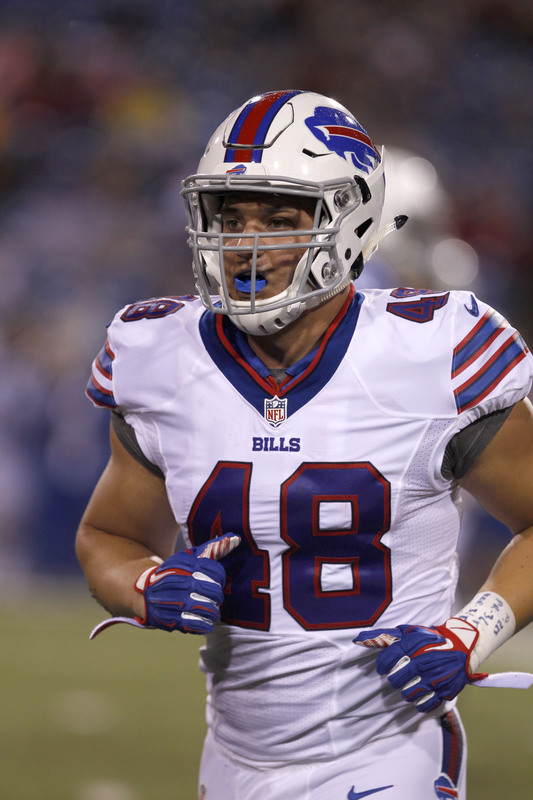 Today, the Bills announced that they have released Glenn Gronkowski so that they could welcome veteran Jerome Felton back into the fold. The Bills also signed safety Damian Parms to the practice squad. Gronkowski surprised many observers when he edged Felton for the team’s starting fullback job, leaving Felton without an NFL home to start the season. The Bills reportedly liked Gronkowski more than Felton from a pure football standpoint but it may be that the team’s motivation was financial. Buffalo saved $1.55MM by cutting Felton and instead going with Gronkowski, who was earning the league minimum. The Bills are flip-flopping on that today, but Felton has presumably re-signed on a cheaper deal. If Gronkowski clears waivers, he may be a practice squad candidate for the Bills. For a full view of the Bills’ practice squad and 53-man roster, check out their page on Roster Resource.